What the heck was going on with my third food vlog reviewing Mesa Culinary Champions? My chamber of commerce companions were forcing me to go to the “What the Hell Bar and Grill”. I had heard this was a biker bar….what would happen to my pristine reputation if seen in public at a biker bar! Despite my initial fears, on entering the restaurant I was warmly greeted by restaurant staff and the place looked much like the neighborhood bars I may have frequented in college back in the Midwest. The menu advertised classic pub food and the place boasted about its icy cold beer. 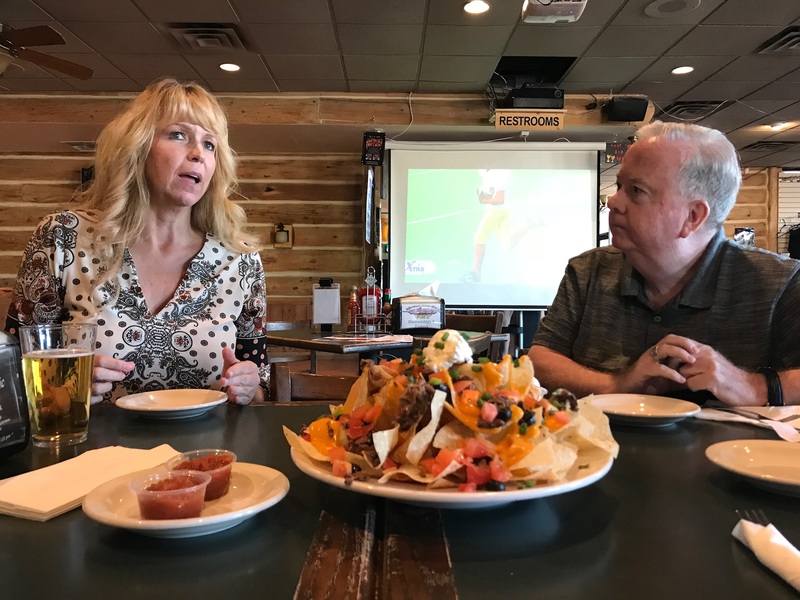 We were there in time for Monday night football featuring the Arizona Cardinals and there were plenty of viewing screens for good views by customers. We decided to focus on happy hour foods. Many of their “Hell Starters” were half price during happy hour and we had a hard time choosing among all the tasty options. We solved that problem by ordering the “Hells Platter” consisting of jalapeno poppers, mozzarella sticks, mushrooms, onion rings, zucchini and fried shrimp. This plate was a hit with the onion rings and shrimp being standout selections. We also ordered chicken quesadillas which were excellent. The tortilla was fresh and bursting with chicken, melted cheese and tomato. Quesadillas are one of my favorite appetizers and this version did not disappoint. Finally the “piece de resistance” was the enormous serving of the “What the Hell Nachos”. Despite three of us attacking it, we barely made a dent in it. The chips were excellent and the toppings were both tasty and generous. I truly regretted not having a designated driver as I wanted some ice cold beer to go with all the great appetizers. This is a fun and family oriented bar and grill and a good place to watch sporting events. Dinner options include comfort foods that most of us crave, including meatloaf, pork chops, chicken fried steak, chicken cordon blue and even liver and onions for those who like that dish (not me!). There is a special value priced menu for seniors 55 and over (which would have included me but not my young whippersnapper chamber staff companions). A variety of burger and sandwich items are all available. And, guess what? On Sundays they have a Bloody Mary Bar. I suspect that is a popular attraction….it certainly attracted the attention of a certain chamber CEO! I hope you can check out this fine member of the Mesa Chamber of Commerce. And guess what? Riding a motorcycle to get there is not mandatory! Any mode of transport will do the trick and all will be comfortable at this nice establishment. 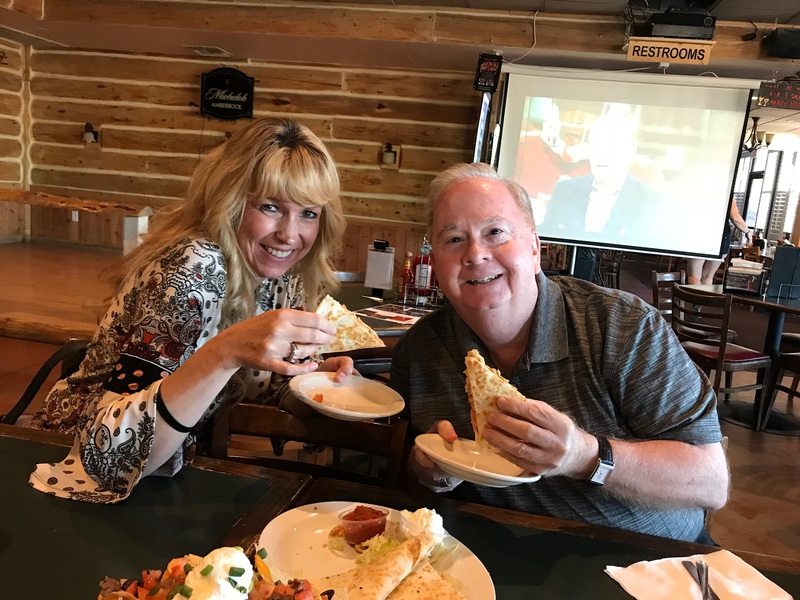 Mesa Culinary Champions is a blog of the Mesa Chamber of Commerce, hosted by former Mesa City Vice Mayor and Attorney Dennis Kavanaugh. 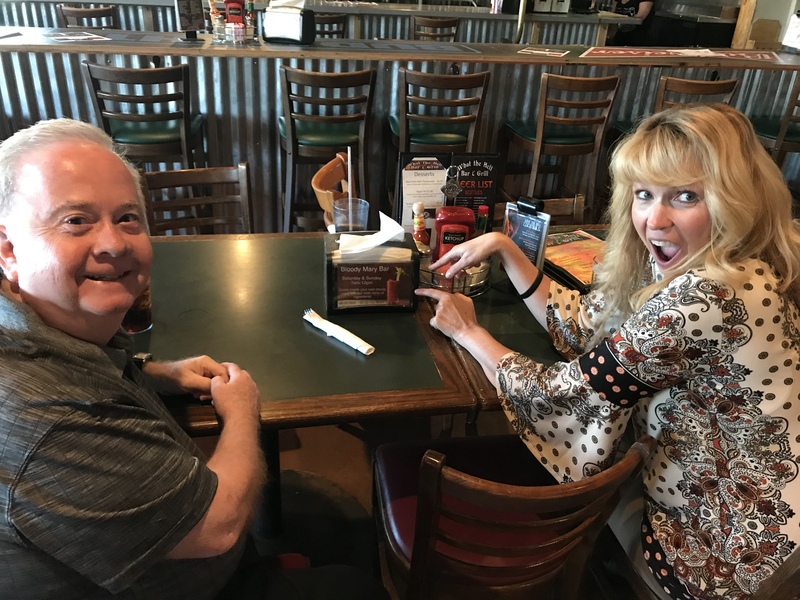 As they have time, Dennis and Chamber CEO Sally Harrison visit a Chamber member restaurant, and share their experience through the blog.